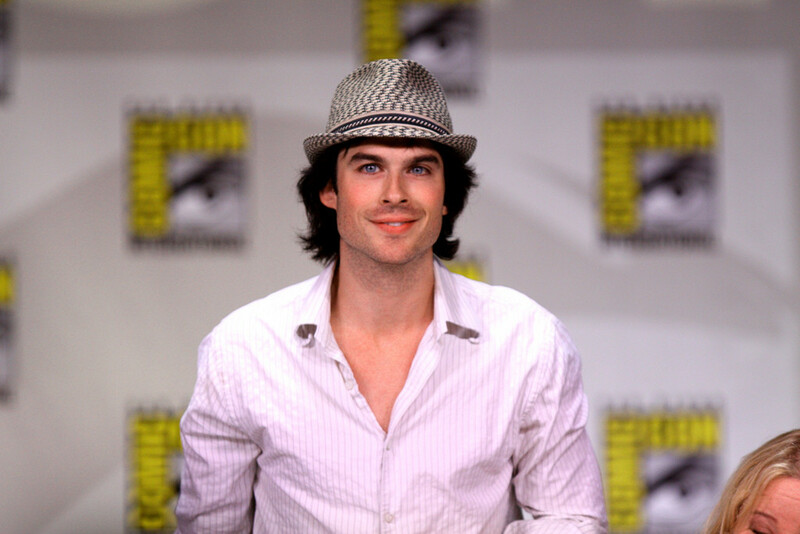 Ian Somerhalder loves his fans but we must believe that sometimes it weighs its popularity ! Ian Somerhalder refused to take pictures with his ​​fans during his visit to Paris , we will tells you more . Sometimes Ian Somerhalder wants to preserve his privacy and his popularity is not always easy to live for him! Proof of this is, as he was leaving a hotel in Paris with his wife, Ian Somerhalder refused to take pictures with his ​​fans as you can see via the video above. We hear the actor tell his admirers: "[...] I will not take a single picture today This is my day Do not follow us please I love you guys.... You are so good to us. You are so awesome [...] ". Despite this little speech, Mr. Somerhalder refused to the end to take if only a selfie with fans who were upset by his attitude! Although, We remember when Ian Somerhalder shared a touching story with his fans via his Facebook account about a cat that would be able to heal other animals. The actor likes to use his social networks to have real discussions with those who follow him since he knows that if he so much fame today is indeed because of them. There are days like this where the young man is not in the mood to pose ... What do you think of the reaction of Ian?